Can’t find a Mac version of MP3tag? Even though MP3 tag is widely considered as the best yet free ID3 tag editor to add ID3 tags to MP3s on Windows platform, it still comes with no Mac version. That’s really a regret for those needing to fix MP3 tags on Mac OS X. And the post will show you how to edit ID3 tags on mac automatically with ID3 taggers. Before knowing how to edit ID3 tags on mac automatically, you need to know what is an ID3 tag. An ID3 tag is a type of meta data container used to store information about an MP3 file within the audio file itself. 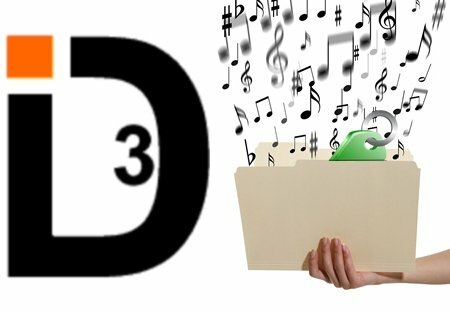 An ID3 tag allows the creator of a file to embed relevant information like the name of the artist, track title, album, track number and genre in the file, allowing that information to travel with the file. This capacity is especially useful for media files, like podcast s, that have been syndicated, downloaded or exchanged over the Internet independently from the Web pages that they were originally hosted upon. The most recent versions of the ID3 standard include support for chapters and enhanced podcasts with embedded hyperlink s and images. Content producers may use ID3 tag editors to add and edit metadata for media files. In Windows XP , for example, ID3 tags can be edited by requesting the properties of a file and selecting the summary tab and accessing basic file parameter s, such as track title, number, artist and year. Both the Mac and Windows versions of iTunes, as well as other media player software, also support editing of more advanced parameters, such as album art. ID3 tags may be edited in a variety of ways. On some platforms the file’s properties may be edited by viewing extended information in the file manager. Additionally most audio players allow editing single or groups of files. Editing groups of files is often referred to as “batch tagging”. There are also specialized applications, called taggers, which concentrate specifically on editing the tags and related tasks. Some, such as puddletag offer advanced features such as advanced batch tagging or editing based on regular expressions. Therefore, the following steps will introduce you a powerful ID3 tagger: Leawo’s Leawo Tunes Cleaner for Mac, which could help you complete the MP3 ID3 tag editing on Mac with ease. As the best-used MP3 tag editor for Mac users, it assists you to edit ID3 tags on Mac in batch, automatically and efficiently. It’s smart enough to detect your songs with incomplete tags, find missing ID3 tags like artwork, album, artist, year, genre, etc. for your songs, then apply all tags to your songs automatically. Batch fix is allowed. Besides, you can personalize your song tags with the program’s editing function. Can’t wait to take a try? Follow the tutorial below to master how to edit MP3 tags with this intelligent MP3 tagging software. Once install and launch the MP3tag for Mac, you can see the program interface as below. Songs in your iTunes library can be scanned after clicking “Start to clean iTunes” button. You can even click “Open music files” to scan music folders on your Mac. After scanning, this auto MP3 tagger would list all your songs with incomplete tags in specific categories like “Songs without Album Artwork”, “Songs without artist”, “Songs without album”, etc.Now you could click “Fix All” button to fix all music files displayed, or select the music files you want for fixing. The software will find the proper tags from online data base and add them to your songs, so as to make your music library perfect. If there are “Unrecognized Songs” after auto-fixing, you could click the edit icon in each song frame to invoke the internal music tag editor. You could add music tags like Name, Artist, Album, Year, Genre, etc. by hand, then click “Save” button to save the manual editing. After all, click “Apply” button. The whole MP3 tags editing finished! After you finish the above steps, you will get MP3 tags in iTUnes or other music files on your Mac computers. And if you are Windows users, you can click here to know how to edit ID3 tags on Windows computers.